Scott Foster’s moment in the spotlight isn’t over just yet. The accountant who became an overnight hero of hockey fans everywhere when he stepped in as Chicago’s goaltender for a game against the Jets will be featured at this weekend’s Blackhawks Convention. Foster will be the focal point of an hour-long panel discussion Saturday entitled “From Beer League to Big League” that will also include Blackhawks goaltending coach Jimmy Waite, head equipment manager Troy Parchman and senior director of minor league affiliations Mark Bernard. 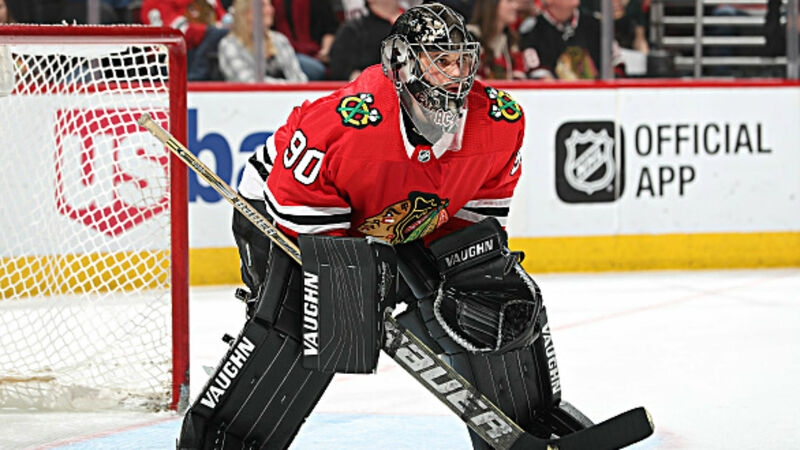 The 36-year-old native of Sarnia, Ontario, suited up for the Blackhawks on March 29, backing up last-minute starter Collin Delia after Anton Forsberg suffered an injury during warmups. When Delia had to leave the game after getting hurt six minutes into the third period, Foster came on and stopped all seven shots he faced to preserve a 6-2 Blackhawks win. He was named first star of the game. Foster played four seasons at Western Michigan, most recently in 2006, but had seen action only in beer league games until his star turn in Chicago.